Great starter home! Home qualifies for RD loan, possible 0% down for qualified buyer. 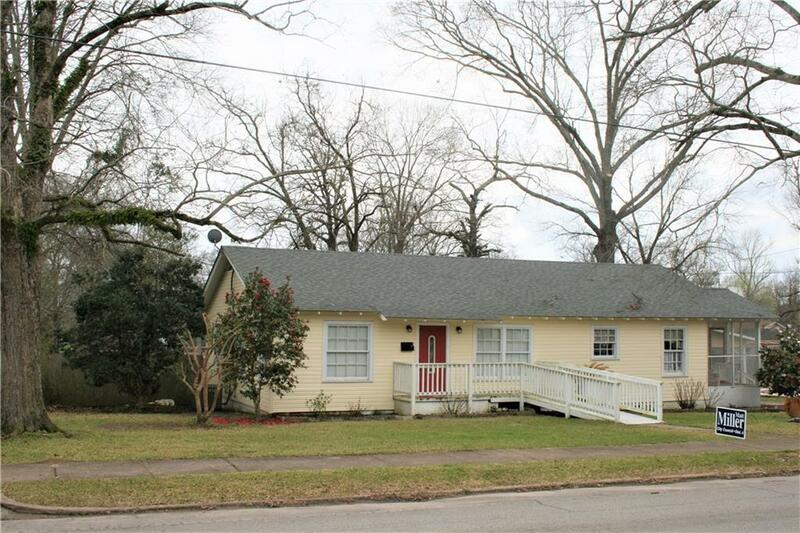 This 3 bed, 2 bath home, has beautiful hardwood flooring throughout the main home area, vinyl flooring in bathrooms. Spacious master bedroom with attached master bath. Large kitchen area with breakfast nook, and separate dinning room. Large fenced in backyard with single and double gate access. Beautifully landscaped front yard, with handicap ramp access to front entrance. Sqft believed to be accurate, age of home estimated, lot size taken from tax assessment, buyer to verify. Pre-approval paperwork or Proof of Funds required. Directions: From Us Hwy 167, Turn N Onto North Pineville St, Then Turn East Onto Maple St, Continue Until You Arrive At 1406 Maple On South Side Of Street.